By: Marlo Sollitto, Contributing EditorTo determine if it’s time for assisted living, or if your elderly parent can safely remain at home, take a good look at the present housing situation, health status and medical needs. Ask yourself these questions. Making the decision to get home care is one of the hardest and most heart-wrenching decisions of your life. But if it keeps your parent healthy and safe and perhaps even happy, then it is probably for the best for the parent, the caregiver and the family. 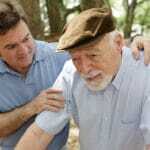 Maintains Independence – For elders, home care reduces guilt from having to depend upon family. Provides Peace of Mind – Knowing loved ones are properly cared for, adult children receive the support they need. This allows families to maintain their busy lives. Preventing Medical Crisis – A companion care giver provides an extra pair of eyes to help reduce the risk of falls and monitor significant changes in health or behaviors. Promotes Physical Well Being – One on one care is a major advantage of home care, more supervision can help your loved one avoid some of the medical complications often associated with institutional living. Improves Quality of Life – Provides the freedom to choose activities, keep pets and maintain family relations in your home environment. Eat The Food You Like – Companion care givers can prepare appetizing and healthy meals. Promotes Mental Well-Being – Less confusion typically associated with institutional settings. Especially important for those needing dementia care. Reduces Incontinence – Improve response time reduces embarrassment and avoids skin break down which is so common with institutional settings. Social Well-Being – Friends and family are more likely to visit the home. This allows for outings such as church or other community events. Supports Healthier Living – Companion care givers provide an extra pair of hands. This helps to keep a clean and safe environment. Norrms, as he’s affectionately known, has been living with dementia for over seven years. First diagnosed with Alzheimer’s and then later with Lewy body dementia, his words inspire and help caregivers see more deeply what it’s like to live with dementia. I had just been diagnosed with dementia aged just 50 years old, this was seven, nearly eight years ago now, and there I stood, at the bottom of the mountain they call “Dementia” As I looked up I couldn’t even see the top of it as it was covered in cloud and mist, it seemed so very high and impossible to climb, then, I took my first step. As I ascended the mountain, the first thing I noticed was the bleakness of everything, the emptiness and loneliness that surrounded me. As I looked back I could still see my many friends and family but they seemed to be diminishing in the distance, getting smaller and smaller, as if my friends were disappearing one by one, very strange. It went really quiet and all I could hear were my own thoughts, alone in my head, with absolutely no idea which path to take, or where to go, all I knew was it was all uphill from here. Whist I climbed I looked around for help, but there was nobody there, I sought a place of refuge, but couldn’t find one, and the only notice board I came across on the mountainside was written many years ago and now faded by years of weathering, as if they was some kind of help and advice, but it was all mixed up, the rain had melted it all into one huge mess, and I couldn’t just see it. The incline seemed to get steeper at every step, and there were times i could have just sat down and given up, I came so close to doing this on many occasions i am ashamed to say, the relentless winds of change around me were starting to affect my walking abilities and my thinking, it would have been so easy to just give up, but then, on the horizon I saw two paths leading in totally separate directions, and walked heavily step by step towards them. I arrived at the crossroads, exhausted and tired and have to admit i sat there for quite a while deliberating on which path to take. It took so long to decide, both paths looked the same, and yet, one path was slightly steeper than the other. The logical side of me saw the easier path as a better bet, but, as many who know me logical thinking was never one of my strong points!! So once again I took tentative steps up the much steeper path , not knowing where i was going, and certainly not knowing where I would end up, but one thing I did know was, I wanted to put a stop to the emptiness and loneliness I felt, I wanted to know as much about this mountain they called ” DEMENTIA ” as I could, its pitfalls, the way it worked, the many sides of the mountain face, some which are visible, some which are not, and expose the ones that are not. 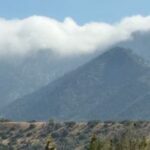 I wanted to know as much as possible, because if I was about to attempt to climb this mountain, right to the TOP and be victorious, I needed to know as much about it as possible!! As I climbed this mountain called Dementia I soon realized there wasn’t that much information about the mountain, no signs telling me where to go, no maps with directions, and just around the other side I could see others like me, trying to climb the mountain but not getting very far because they had no idea where they were going either. Soon, I caught up with the others and asked then where they were going? Thing is, they weren’t to sure themselves, but soon after we found ourselves all climbing together, helping each other. Holding on tighter to each other and if one of us fell, or slipped backward, we started to make a human chain to make sure we didn’t lose anybody. Friendships were formed, relationships built, and a new way of climbing was formulated meaning we all started up a new path, not as quite steep as the other one but just as long for some of us. Before long I had forgotten about the friends I had lost at the beginning of my climb and marveled in the new friendships I had made. There were still times when I felt like giving up and sliding back down the mountain to the bottom as we lost some friends along the way, the Mountain called Dementia, took its toll on some and they paid the ultimate price. After a while, we found that there were new medicines in the fields on the way up and it made us think a little clearer , act a little better, walk a little steadier, but the thing is, we didn’t know if it would help us reach that all elusive top of the mountain !!! we would all sit there, around the camp fire at night, devising better ways to make our Journey up the mountain easier, and how to make it easier for others, talking, communicating and best of all , working together to make sure as many of us survived as possible. Then, one day BASE CAMP was in sight. We pushed and pushed harder and harder, finding new paths and new ways to help each other, yes, there were many obstacles in our way, we had rock falls, and times when we got on each other’s nerves but together we were strong, together we marched up this mountain quicker, until that wonderful day we reached base camp. Once there we were greeted by others, friends and family members who we thought had disappeared, apparently the family members were there all the time, tracking us slowly, making sure we didn’t fall backwards or back down the mountain, we just couldn’t see them. It’s taken a while to reach Base camp, and I have lost so many friends along the way because of the Mountain they call “Dementia” but so many have made it this far with me, so many have survived the climb so far, and I believe this is because we have climbed this Mountain TOGETHER. Who knows? Maybe someone was filming this as we climbed, and maybe, one day, in the not too distant future, people will be able to watch the climb so far, that would be good wouldn’t it?? Great Things to Do With The Seniors in Your Life This Spring! 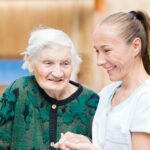 Conversation Strengthens Memory — In a University of Michigan study, psychologist Oscar Ybarra at the U-Michigan Institute for Social Research tested a large group of people up to 96 years old. He found that just 10 minutes of conversation with a friend worked just as well as elderly activities involving brain games, like crossword puzzles to strengthen the memory. “In our study, socializing was just as effective as more traditional kinds of mental exercise in boosting memory and intellectual performance,” he said. So make sure the elderly in your life have plenty of time to socialize. It not only will help with memory, but also elderly issues of depression and loneliness as well. Recording Your Memoirs — My own grown kids love that their grandfather recorded his memoirs, and we put them on a CD for everyone. They’re intrigued by his stories and perspectives through the wars, Depression, post-war boom years, launching a career, raising a family (with me being one of the kids) back in the “olden days”! Especially, my son remarks, back when adolescent young men were still “gentlemen.” See our page on Senior Activity Ideas for more details. Hobbies — Hobbies are not just a way to pass the time, but offer something to get up and get excited about, look forward to. Depression can involve having no “goals” or the blahs from not having anything to anticipate. And it’s never too late to begin new elderly activities. Especially if a previous hobby is no longer do-able — then people become a little more open minded about trying new elderly activities to challenge and entertain themselves. We have an entire page to help, on Finding A Hobby. Help elderly loved ones choose an activity that may be somewhat related to their previous hobby, yet different enough to learn something new. Photography to painting; or painting to photography, for instance. Or photography to plant identification, or bird watching, or learning about other places. Or woodworking to painting on wood. Modifying Hobbies — If seniors are no longer able to do their favorite hobby in the usual way, find alternative ways to do it or to share it. Cooking for instance. New elderly activities could include helping them create a family recipe book, put it on computer, and create a small booklet for family and friends. I wished that our family would have organized some of my mom’s wonderful recipes in booklet form. This actually can be a fun activity for elderly to do. Or watch the Food Network or Travel Channel with them on TV. You can do the same type of elderly activities with any hobby, such as gardening, home decorating, woodworking, travel, photography, or pets. Edible Windowsill Garden — Even for those who weren’t into gardening, windowsill gardens are fun elderly activities to do as a family or individually. Very popular gardens are those you can eat – there is a tangible goal! Edible window gardens usually consist of herbs. The easiest to grow are dill, basil, cilantro, lavender (which you can also use to make a lavender pillow), parsley, mint, thyme, oregano, and chives. Use a potting mix rather than soil, which can carry disease. A sunny windowsill is best. Many types of pots and containers can be used, including simple plastic trays, but they should be at least 6 inches deep. Also get fertilizer specifically for edible plants! Use it about once per month. You don’t need to water herbs very often; just keep the soil barely moist so roots don’t get soggy. Cut and use them often. As with other plants, they become fuller as they are clipped. You can also grow strawberries, tomatoes and sunflowers on the window sill. But I suggest you see your garden center for specific instructions. There are also windowsill herb and edible plant kits available, and these make really easy elderly activities. 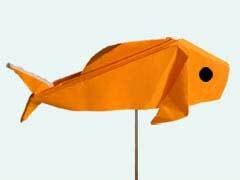 Gone Fishing Party – We have lots more elderly activities – with parties! And many of them can be held indoors or out, any time of year. Including a fishing-themed extravaganza (my daughter actually had one of these as a bridal shower and it was a blast). So don’t let any weather stop you. Get plenty of details on our party theme ideas page. Chocolate Covered “Worms” – Fabulous food project provide plenty more elderly activities, especially easy ones with chocolate. Make chocolate worms, use edible flowers on cupcakes, make mouse crafts with food, or luscious gourmet s’mores. We have all kinds of ideas on our easy food activities page. Make An Easy Angel — Angels can be displayed and enjoyed any time of year. Not just Christmas — think Easter, birthdays, christenings, memorials, and more. Or perhaps you have a very special “angel” in your family or group? 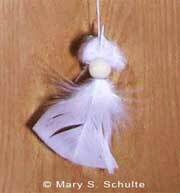 We show a very simple feather angel here (which can be made with any color of craft feathers, to fit the season or occasion), and we also show how to make them into a gently fluttering mobile on our feather angel craft page. But not only that, we have another whole page full of lots of other craft angels to try. See them all! Gentle Hand Massage — A hand massage using gentle reflexology that stimulates the whole system is a little gift that you can give to the elderly you care for. And it is really easy to do; prior experience is not necessary. It’s given with a favorite lotion (men and women alike), or is perfect to also do in conjunction with a manicure or salon type activity. See the handy hand reflexology chart we provide on this page to learn more about how reflex points work. My Dad loved hand massage. Grow an Amaryllis — An amaryllis bulb kit is very inexpensive, about $5.99. Although these kits are typically found in large discount stores like Target during the winter holidays, I’ve also found them in Walgreen’s during the summer. Amaryllis plants make fabulous elderly activities. Are you familiar with the amaryllis? They are tall and stately flowers with spectacular large blooms, several to a stalk. Colors are typically brilliant red, pink and white. And do they ever grow fast. The kit comes with a bulb in soil, it soon sprouts, and then you can literally wake up every morning and see the difference. They can grow sometimes a half an inch a day. It’s a fantastic project to watch, and lasts for about 6 weeks. Dad gets a real kick out of growing an amaryllis. He likes to have me measure it each morning to see the difference. Follow the instructions to let it go dormant, then coax it to bloom again. In fact, if you handle the bulb correctly, it can last for years. Make Art To Music — Music can be very soothing, and so can doing art. So combine the two! Get out some paper (large sized is great), some colored chalk pastels, water colors, even crayons. Put on some calming music (it can still be a little peppy if you’d like) and have your group just do whatever they feel. Tell them they can’t go wrong — this is about doing art with feeling, rather than trying to create a representational masterpiece. The music will create the feeling. I remember doing this in grade school to “Waltz of the Flowers” from the Nutcracker. Everyone one in the class loved it, even the kids who usually hated art. Making Easy Planters — And when you grow those gardens, consider another fun and easy project — creative planter ideas. Making and/or finding unusual planters is an easy activity for all ages and abilities. Use them as unique gifts and give-aways, show off heirloom and vintage items, plus see our easy craft ideas of how to give them a hand crafted touch. We used an old boot from a family member as a planter. Make A Simple Centerpiece — So many elderly activities can involve parties, get-togethers, public events, clubs, and the like, that making a nice centerpiece can be done pretty much year round. Plus they’re great for give-aways, raffles, silent auctions, etc. Helping to make centerpieces can be a very fulfilling project. And they make great gifts. We point you to the various projects all over our web site on our Make Fun and Affordable Centerpieces page. They’re quite affordable because there are so many items you probably already have around that you can use. We show how. Using templates and patterns — For your arts and crafts and various elderly activities. I have drawn several templates and patterns for you, all copyright-free. (And lots more to come, so keep posted). Some are simpler, some fancier. But you can always modify them or use just parts of the pattern. Use them to trace, to transfer onto paper or boards for painting, for posters and flyers, mobiles, greeting cards, coloring pages, for collage and cut-out projects. And much more. Depending on ability level, they can also be used for faux quilts by tracing the shapes onto fabric, then gluing onto a fabric background. For lots more ideas for these patterns, start by looking at this page, which will then link you to more pattern and template pages: Free Leaf Template and Pattern Ideas. And also Flower Templates. Expanding Horizons — Many elderly still love to learn. And they should… Learning-oriented elderly activities exercise the brain and keep brain activity healthy. Encourage seniors to watch worthwhile educational programs on TV and programs associated with their hobbies. There are also lots of documentary films you can rent or stream to your TV. I narrate a huge variety of these to Dad; something several times a week. He particular loves anything to do with science, inventions and travel. Current Events — Discuss current events on TV and in the newspaper, but keep it light and on a positive note as much as possible (some seniors can be prone to depression, so heavy current events may not be appropriate). Keeping up what’s going on in the world helps seniors stay mentally involved. You can get other related elderly activities involved too. Ask for their opinions, and how an issue differed x-amount of years ago. My father is unable to read from vision loss, and severe hearing loss prevents him from listening to the news himself. So on Tuesday and Friday evenings I selectively read the newspaper to him. Since I know he gets tired of hearing about war and scandals, we mostly skip those. I also narrate the TV news to him, so he gets most of the current events that way as well. But he still really enjoys it when I read to him. When I read about something, I make sure to ask him if he remembers anything that had been on the TV news about the topic – very good memory exercise (also see our page on meaningful dementia activities). It usually leads to very lively discussion and opinions about all sorts of other issues as well. When I watch the news on TV with him, we turn off the sound during the ads and talk about what was just said. These activities are some of the highlights of his week. 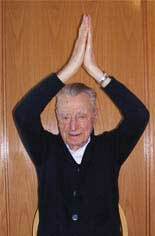 Easy Yoga — Exercise is always good for the mind and memory, and are important elderly activities. One of Dad’s very favorites — easy yoga, done in his chair. It really kept all his joints in good condition; he had no arthritis at all, even in his 90s. He chalked this up to exercise, especially joint movements associated with yoga. Even seniors who may not be as limber report that gentle yoga does a world of good for their overall well-being, joints, and even mobility. I also exercised along with Dad (and hoped his good joints run in the family). I did some of my routines sitting alongside him, and some of them standing, as is usual. But for seniors, this does involve modifications. Learn more about this enjoyable form of exercise that just about anyone can do, and a few tips, at yoga for seniors. Have A Tropical Luau — Any time of year. Especially fun during dreary or cold weather. We know many elderly folks who have either traveled or lived in warm places, including the Polynesian Islands. And if not, have a party experience. This one is sure to lift the spirits. You can make it simple or do an extravaganza, even a fund raiser, inviting the public. Perhaps with a raffle and/or silent auction following the theme. Get more ideas about this and other parties at Perfect Party Theme Ideas. Windowsill Flower Gardens — There are windowsill flower garden kits available and they provide more elderly activities. But you can also create a quick garden from flower cuttings as well. With a sharp knife, takes cuttings from the garden of a friend or family member, or community garden. These should have about a 4 inch stem. Remove the bottom leaves of course, then place in a glass jar of water. Canning jars are great, but so are smaller, decorative glass vases. Line them across the windowsill and watch them grow roots. Dump the water every week and replace with fresh water. These cuttings will last for many weeks. If you still have them in the spring, plant them outdoors. If you want something practically indestructible, take cuttings from a philodendron plant. I had the same cuttings in water for, yes, two to four years! I then planted them, and 15 years later they’re still growing strong. My father moved here back to Minnesota after years in Arizona, so he likes cactus. You can get several kinds and line them across the windowsill in their pots. Or take them out of their pots, and transplant them all into a long plastic container. Use gravel and sand in the mix as well. Try these projects as group. Seniors who enjoyed gardening in the past may like to have a way to garden again. Or it’s also a nice option for those interested in finding a hobby. 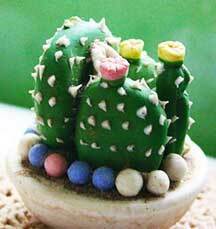 Learning about and growing different types of cactus can itself develop into a hobby. Pressed Flowers — For more elderly activities with flowers and plants try this. (It can also involve fresh air in the outdoors). Go out out and pick fresh flowers from a field trip, a community garden or windowsill garden. Remove any wilted petals and leaves. Try not to let flower parts overlap. Leaves should lay flat. The Old-Fashioned Way — Choose a heavy book and line the inside pages with 2 or 3 sheets of paper to protect the book. (I tried paper towels once and the whole thing turned to mush). Carefully lay the flowers on the paper, and cover with another 2 sheets. After closing the book I stack another couple of books on top. Or you can also place the book in your microwave and “cook” it for 30 seconds. You’ll have to repeat it a few times, checking to see if the flowers are almost dried. Then I let the book sit for at least another two weeks before opening. The Easy Way — You may know you can get a microwave flower press (at this time for about $30 to $50 depending on size). Just microwave for 15 to 25 seconds! Flowers go from fluffy and thick to very thin, dry and flat; and maintain some color too. Very pretty and I think well worth the investment, if you like this type of project. 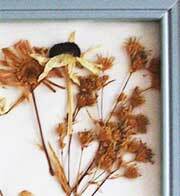 Dried flowers can be used in other elderly activities later on, for various seasons. Pressed Flower Projects – For using your pressed flowers… These flowers can then be used for many projects. You can use them as gifts, including framing with your signature and maybe a favorite saying, potpourri, decoupaging onto boxes, or pretty glass containers (great for candle holders), or right onto the outside of a pillar candle (attach them only about half way up). My son pointed out to me that he knows many girls who save their flowers from special occasions, from dances, graduation, weddings, etc. They’d LOVE to have a grandparent press them to keep as a memento, or to incorporate into another craft. 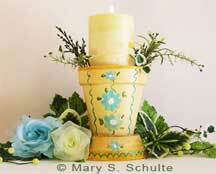 Have your group come up with suggestions for how to use pressed flowers in upcoming activities. 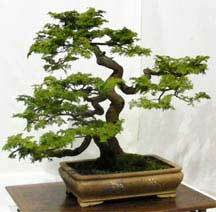 Grow A Bonsai — Bonsai growing is really popular, (and any kind of gardening makes wonderful elderly activities). You can find kits for amateurs in many places (I even found them at a big box home improvement store). Nurseries have them too, and you may be able to get a staff member to come out and give a short presentation, then get the group started. They might charge a fee or you may be able to get them do it for free, as a service to seniors. At the very least, you’ll be able to get instructions online. Taking a group to a gardening show, nursery, or bonsai association, to see their displays also makes a nice outing. Growing a bonsai does take some attention, but those who had been gardeners in the past will enjoy it. There may even be someone in your group who has done it before. Giving a bonsai kit also makes a great gift. Photograph Activities — Having fun with photos can easily evolve into many more elderly activities. Go over old photos and talk about your elderly loved one’s past or your growing up. Encourage them to share. Have them help you get those photos in albums with them, if they’re not already. You can make it into a lively ongoing scrapbooking project to do together or in a group. A friend had her parents help sort out all the photos of her kids (of course they chatted about memories while sorting). She then got small photo albums for each child, and her parents helped assemble and put them in, writing special little notes on each page. Now her kids have a truly precious gift from their grandparents with very personal memories that they wrote. Scrapbooking and working with photos are very popular now. You can even make your own personalized frame to go with a special photo, and give it as a gift. See our page on picture frame crafts, and see how you can modify the activities to fit your loved one or group. Make Gourmet S’mores — Like we’ve noted before, food is amongst the favorite elderly activities. There is something about s’mores that brings back fun memories of bonfires and fireplaces, activities with family and grandkids, and the good ‘ole days. But we’ve taken them a step further, gourmet style. Why settle for “same old” when you can create something nostalgic yet spectacular. My son is who actually got me started with all this. 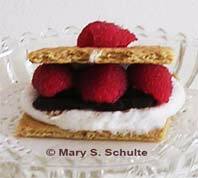 See some interesting takes on this favorite snack at How To Make Smores – The Gourmet Way. Baby Visits — See if you can arrange to have a relative or friend visit regularly with their little one. Elderly people love to interact with babies (Dad just lights up when he holds his great-grandchildren). Then ask your loved one how things were done when they were raising their babies, and what types of conveniences and inventions were popular at the time. And what things we take for granted now that were not even invented yet. If you are having an elderly family member or friend record their memoirs, these types of conversations can also be included. Pet Visits — Many elderly activities used revolve around pets, when someone was able to still have one. Arranging to have small, friendly pets visit is also a plus, especially for those who had pets and miss them. Studies have shown that just a half an hour of pet visiting per week had a big effect on lessening feelings of loneliness. Encourage the elderly to talk about the pets they had. It may also be possible for seniors to accompany the pet on a walk on the grounds or yard, if possible; even in a wheelchair. Reading Aloud — Reading can involve several more elderly activities, and reading aloud can be very special. Some seniors form reading groups and take turns reading aloud to the group. Others have regular times when they read to children. It’s especially wonderful for those who can’t see well enough to read on their own anymore, like Dad, to have someone read aloud to them. If seniors are really interested in a particular topic, get a book from the library on the topic, especially with pictures. If you’re reading to them, you can show and discuss the pictures. Encourage them to reminisce about their lives and what this topic means to them. Older seniors also enjoy educational books geared for kids on these topics – the photos and illustrations are often much better, and the text more interesting! Also see our page on Senior Reading Activities. I read aloud to my Dad every night, and it is one of our favorite things to do together. Children’s Books with Grandparent Topics — Have kids read children’s books with a grandparent topic to elderly loved ones, or have the elderly read to them, (especially to their own grandchild). These are very cozy activities that kids remember for a long time. One of my favorite books is called “Miss Rumphius” by Barbara Cooney — about an elderly woman who sowed lupine flowers all over the hillsides by her town, and created lasting beauty for generations to come. Another is “How Does It Feel To Be Old?” by Norma Farber — about a grandmother explaining aging to her grandchild. Also, “When I was Young in the Mountains” by Cynthia Rylant – about a grandfather who works in the coal mines. A fourth selection is “The Old Woman Who Named Things” by Cynthia Rylant – and not just her pets and car. There are many more, and a librarian or staff in the children’s section of a bookstore can help. Kite Flying — Great reason to go outdoors! (See this link for more outdoor activities for the elderly). And it’s fun for both men and women; plus, invite kids as well. 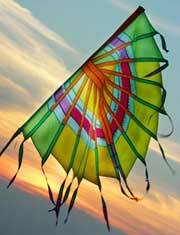 You can buy inexpensive kites at a discount store or can even sometimes find them in a dollar store. Making and decorating easy kites from a kit are fun elderly activities and can be done in a group too. And kids love to get involved in this one! You may want to limit the length of the kite string so it’s more manageable. Go outside to an area where there are not too many trees, and take turns flying the kites. Wheelchair participants can also attach the kites to their chairs. Bring along lemonade and a snack, or even a full picnic lunch. If you’re inviting kids, they can help make it. Many of the participants will have fun stories to tell about flying kites when they were young. 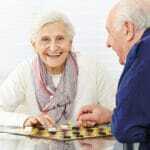 So kites and conversation provide elderly activities that are good for the memory too. Make A Gift Basket — There’s nothing more satisfying than doing something for someone else. Doing gift baskets provides many more elderly activities. They’re also an easy way for elderly to contribute to a meaningful project, whether for a fund raiser, raffle, silent auction, someone who is sick (including children), a celebration, or special occasion. The reasons are almost endless. And many of them may involve a theme — we have loads of ideas about that. 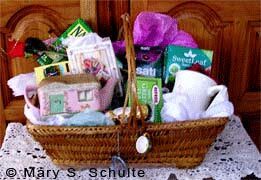 Many older seniors may have a special something to add to the basket (perhaps a piece from a collection or a vintage item) to make it especially personal. Or they may still knit, do needlework, woodwork, art, etc. Their skills and caring to make a difference are important! So take a look at our ideas at Easy Make A Gift Basket Ideas. Elderly adults who live alone may be targeted by scams attempting to gain access to their finances. Elder financial exploitation becomes even more common if they are experiencing the early stages of dementia or Alzheimer’s disease. If you are caring for an elderly adult, at some point you may find that your loved one is the victim of financial mistreatment. In fact, financial abuse happens to about one in nine elderly adults. Sadly, only about one in 44 cases is ever brought to authorities. Since nearly 90% of abusers are caregivers or family members, you may find yourself in a tough personal position while doing what is best for your loved one. As a caregiver, it is important to be aware of some of the financial scams that can occur and some ideas to keep your loved one safe. Healthcare/Medicare/Health Insurance Fraud– These scams can be perpetrated by healthcare professionals as well as others. It is important not to give a medical provider complete authorization to bill for services without review or understanding. Tell your loved one to keep his or her Medicare number safe and treat it as a social security number. Always have your loved one or yourself review billing statements to be sure they are correct. Funeral and Cemetery Scams– If your loved one is interested in making some advanced arrangements, he or she may visit funeral homes or cemeteries and end up making expensive purchases. It is easy for a funeral home to inflate prices or use the emotional vulnerability of the topic to encourage an elderly customer to spend unwisely. It is a good idea to accompany your loved one on trips to funeral homes and to discuss purchases before they are made. Typically, funeral homes are required to have a price list available so the cost of each item is visible. Also, you may want to sit down with your loved one before these trips and make a list or an outline of required items and services to avoid being pressured into extra spending. Counterfeit Prescription Drugs– Most commonly, this internet scam occurs when an elderly person goes online to look for “bargains” on drugs. In turn, the drugs received may not be what they were advertised to be and actually may be harmful. Make sure to research any online pharmacy before purchasing drugs through it. Telemarketing Scams – These scams will occur mainly via phone and will pressure your loved one to send money or give out financial information like a bank account number or credit card. Remind your loved one not to give out financial information over the phone and not to send money to unfamiliar people or places. As a safeguard, you may want to keep financial information such as credit cards and social security cards in a secure location in case your loved one becomes confused and forgets your advice. It is also a good idea to ask for written information about any charity or business that calls, like the specific location and /or business license number. Review additional tips for avoiding telemarketing fraud from the FBI. Fraudulent Anti-Aging Products– This scam will make unfounded promises to seniors about the abilities of anti-aging beauty products. Usually, these beauty products will be quite expensive and the buyer will almost always be encouraged to buy more than one product. Have your loved one take some time before purchasing anything that seems to have too many unrealistic qualities. Ask for the product name and offer to do a bit of research about it before your loved one decides to purchase. Many times, this is how you or your loved one can find out if the product was just a scam. Homeowner/Reverse Mortgage Scams– With this scam, your loved one may be told that money is owed or a large portion of his or her mortgage can be paid off. Or, there may be pressure to take out a large reverse mortgage. If you are concerned your loved one may be vulnerable to this type of trickery, encourage him or her to write down important information in any meeting and not to agree to anything until you have gone over information together to be sure it is not a scam. It is also a very good idea to remind your loved one never to give out any important financial information over the phone such as credit card numbers or social security number. Internet Fraud– If your loved one has access to a computer and the internet, it is likely that he or she will encounter an internet scam; common internet scams include an email that seems to be from a friend that is requesting money or a supposed business offering to sell something at an inflated rate. Remind your loved one to purchase items through reliable sources. You can also give the advice to give money to friends in person or as a check in the mail to a known address. Sweepstakes and Lottery Scams– These scams typically arrive in the mail and encourage recipients to either mail back money to enter or tells the recipient that he or she has already won and just needs to mail in money to cover the tax or other fees in order to redeem. It is important that you educate your loved one that these types of ploys exist before it is too late. If early dementia or Alzheimer’s prohibit understanding, you may want to think about taking more control of the mail your loved one receives by forwarding the mail to a P.O. box and sorting through the junk mail before returning the rest. Investment Schemes– In investment schemes, elderly victims will usually invest in an unlicensed or fake business – typically a pyramid scheme. People are hooked by promises of large financial returns after a certain period of time. If these promises seem too good to be true, they probably are. The Grandparent Scam– In this scenario, the elderly victim is called and told that a grandchild has gone to jail and needs money to be bailed out. Have your loved one ask to speak to the grandchild if such a call is received and request relevant information such as the caller’s name and address. You also may want to remind your loved one that in the event of a grandchild’s arrest, the grandchild would place his or her own phone call. While it is unfortunate that there are people who take advantage of seniors in our communities, it is important that caregivers are ready and prepared to help loved ones be careful and avoid scams. The scenarios above are some of the more “typical” scams, but there are many creative crooks out there – use common sense to help guide you and your loved one.